The “Competency Circuit” incorporates all manoeuvres a RotorTug or VSP, CTS, ASD, ATD Tug is designed to perform and demonstrates a tugmaster’s ability to perform such manoeuvres in a safe and competent manner while timed by a stopwatch. The reason for timing manoeuvres is to ensure they can readily respond to a pilot’s instructions whilst in full control of the tug at all times. We achieve, via the use of the stopwatch, the measuring of a tugmasters control over the tug in a non-subjective manner. In way of explanation; if the tug is driven at the same RPM, along the same competency circuit legs, with the same wind & tide affecting it, then the only deferential between the training master’s time and the tugmaster’s time is control over the tug. The reason we are interested in this knowledge is that control over the tug is a large contributing factor to safe operations. Hence the timing of the circuit is assessing safe tug operations. It takes 17 specific tug-driving skills to action the SeaWays Competency Circuit. If a particular skill is non-existent or not to the required standard we can focus on this element rather than wasting time on what the tugmaster can do successfully. The aim of the SeaWays’ “Competency Circuit” is to demonstrate in a documented manner without fear or favour that a tugmaster can handle his/her tug instinctively, competently and with authority whilst at the same time with the finesse and total control required of ship-assist operations with a high powered and very manoeuvrable high performance tugs. This system also applies to all CTS, CST and Pilotboat training. 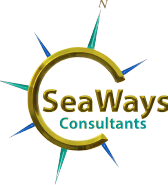 SeaWays undertake Self-Fund training for individuals. Masters who wish to advance their careers into the towage sector can self-fund their own initial ASD, ATD and RotorTug tugmaster training. 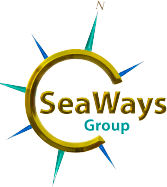 SeaWays conduct Module 1 & 2 Tugmaster courses at our TugSim training facilities. All of the above points has taken a lot of the unknown and risk elements out of employing a new master to the towage industry. NB: The self-funded course is a foundation course and some live onboard training is still required.